The new Steinway & Sons Spirio is the world’s finest high resolution player piano. A masterpiece of artistry and engineering in your home, Spirio enables you to enjoy performances by great pianists — played with such nuance, power and passion that it is utterly indistinguishable from a live performance. The Spirio is available as Model O too. As with all Steinways, every Spirio is subject to Steinway’s unyielding standards to be an exemplary instrument; each one built to perfection for perfectionists, and by artisans for artists. To this, Steinway has added a new layer of technological artistry resulting in the most innovative and dynamic instrument ever offered. For over 160 years, Steinway has been making instruments so meticulously crafted, it can take dozens of artisans up to 12 months to create each one. The goal of every Steinway is to enhance the artist’s expression, and the listener’s joy. 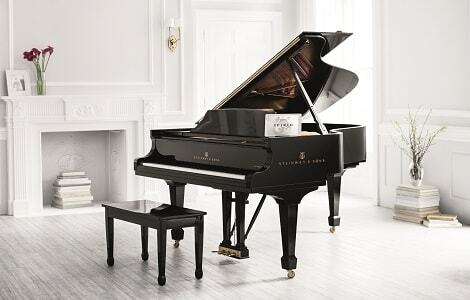 The Steinway Spirio is the most modern expression of that philosophy. Every musical work in the Spirio library has been performed by one of the world’s finest artists, and captured with Spirio’s proprietary technology. Making musical experiences that once required a ticket possible in the comfort of your home. Today, Steinway remains at the helm of piano innovation. Over the past decade, the company’s improvements in craftsmanship and technology have resulted in greater precision, greater uniformity of touch and greater sound quality, ensuring that today’s Steinway is the finest Steinway yet.